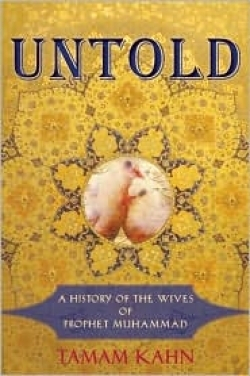 As stories about the brutal treatment of women in Islamic countries such as Iran, Afghanistan, and Pakistan abound in the press, Sufi practitioner Tamam Kahn uses her denomination’s inward-looking spiritual approach to Islam to suggest that “Muhammad felt strongly about women’s equality,” even though his followers reverted to the extreme patriarchalism of their society almost immediately after his death. Drawing on Islam’s canonical writings as well as its rich poetic tradition, Kahn’s intriguing “prosimetrum,” or mix, of poetry and prose imagines how ten of Muhammad’s wives, or “Mothers of Islam,” might have viewed their own lives. Muhammad’s first wife, Khadijah, was a widow and wealthy businesswoman who guided him through his frightening emergence as a prophet gifted with revelation while also teaching him “all he needed to know about a woman’s heart.” More importantly for Kahn, Khadijah’s example inspired Muhammad to view marriage as a sheltering umbrella that could cover vulnerable young widows, slaves, and prisoners. Another of Muhammad’s wives, Umm Salama, endured exile in Christian Abyssinia with her first husband for adhering to Muhammad’s teachings. Widowhood left her without male protection, and she found safety and community for herself and her children among the other young mothers in Muhammad’s harem. In return, she became extremely devout and “handed down 378 hadith” that became canonized in later centuries. Clearly, Kahn seems to say, Islam has always benefited from the voices of women. Kahn’s text again reaches beyond religious differences to the broader suffering of women in patriarchal societies when she relates the story of Mariya, a Coptic Christian slave sent as part of a “gift” when one of Egypt’s Muqawqui rulers refused Muhammad’s invitation to convert. Although the text is unclear about whether this offer was perceived as a threat by the Egyptians, Mariya, like Rayhanna, and Sayfiyya, found safe haven and dignity in Muhammad’s household. Kahn, like the Khadijah about whom she writes, has also been an independent businesswoman. She travels widely, lecturing and learning about Sufism, and her poems appear in The Sound Journal, a Sufi publication. This is her first book.